The O-Cup Series is set to start at Woodnewton on May 5th, 2019. Racers will get to experience another year at this great venue to test out their legs and lungs after the winter break. Just an hour out from Toronto, the Uxbridge, ON venue provides riders with an excellent early season challenge. The series traverses back to the GTA at Albion Hills on May 26th. The convenient location in Caledon provides a highly accessible venue for racers in Ontario. Last year’s doubleheader O-Cup site will be returning in 2019 as a single day event rounding off the month of May. The venue of the 2018 Ontario Provincial Championships will now be the location of the midseason O-Cup race on June 9th. Kelso is a fantastic venue in Milton, ON just off of the 401. Kelso Conservation Area hosts nearly 30km of trail that explores the fields and forests along the Niagara Escarpment. Kelso offers trails that cater to the new rider and seasoned expert. With double and single track, climbs, descents, and plenty of natural and man-made technical terrain features, Kelso will not disappoint. A new addition to the series, Port Hope will be the location of the fourth O-Cup of the 2019 MTB Series. Just a couple of weeks after the Albion Hills O-Cup, racers will look to collect the silverware and O-Cup points on June 16th. Full Event Details: COMING SOON! 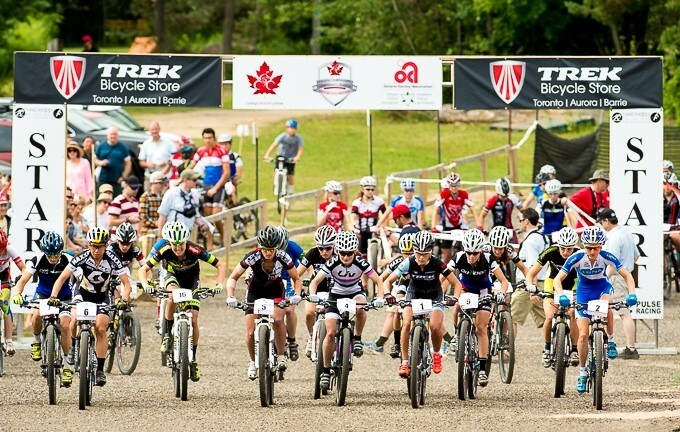 July 14th will mark the date for the O-Cup and Canada Cup race out of Horseshoe Resort. 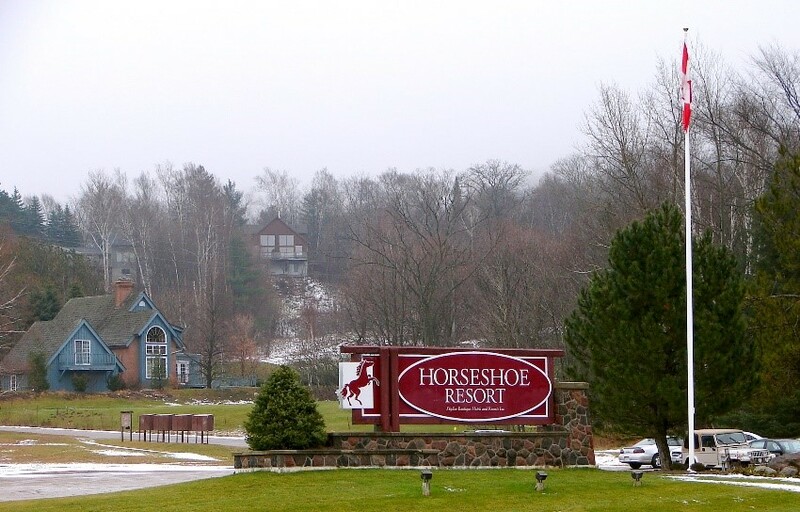 Horseshoe’s course keeps getting better and will feature better spectatorship, great riding and a truly awesome resort atmosphere. The sixth race of the 2019 O-Cup series will be at Hardwood Ski & Bike. Ontario is fortunate to host the 2019 Canadian Championships on our home legacy course from the 2015 Pan Am Games. This venue is a racer and fan favourite with its challenging, fun and amazing spectator friendly course. Riders can choose to enter in the O-Cup categories and/or contend for a Canadian Champion title. Be sure to come take part in the action and watch Canada’s best riders! The O-Cup series continues on August 11th at Mountainview. This will be the perfect time to get any last minute preparations for the Provincial Championships. Mountainview is an outstanding venue that will be familiar to those who participate in the Mountainview Thursday Night Series or the Nine Lives Enduro. Following the Mountainview O-Cup, the 2019 Provincial Championships will be hosted at Sir Sam’s Ski and Ride. After a year hiatus of being the Provincial Championship location, Sir Sam’s will again prove to be one of the most exciting courses on the circuit. Riders will get a chance to challenge themselves in their hopes to claim Provincial Championship jerseys and medals in their respective categories. Please note that Sir Sam’s Provincial Championship will also be an O-Cup race where Ontario Cup points will be awarded. The O-Cup series winners will be announced on this date. Series winners will be tabulated based on the best of five (5) events, with prize monies being paid out at the last event of the season (i.e. Provincial Championship – Sir Sam’s). Below is the prize purse breakdown for Elite M/W and Junior Expert M/W. Ontario Cup points are awarded to all categories except the Citizen category. Only riders who purchase their racing membership through the OCA are eligible for O-Cup points. One-Event Racing Permit riders from Ontario “eat up” Ontario Cup points but only receive these points if they take out the appropriate licence (Please visit MEMBERSHIP for One-Event Permit details). DNF riders (riders who do not finish) are not entitled to O-Cup points. O-Cup points are different than upgrade points. Upgrade points are based upon a mathematical formula taking into account a person’s speed vs the optimum time for their category. The predicted winning times are determined using the speed of the fastest racers, either Senior Elite men or the Senior Elite women’s fastest time is used, depending on who is relatively faster. Expert, sport, and beginner racers are not expected to go as fast as Elite racers, so their predicted speeds are multiplied by a factor. The predicted winning time is then determined by the dividing the distance by the speed. The Speed ratios below are used to calculate the predicted speeds. Adult Upgrade Request Form found HERE. NEW! Riders wising to upgrade categories must notify the OCA office in advance of the event they would like to be upgraded for. Please give sufficient time for the upgrade to be processed and reflected on the licence. No upgrades will be accepted on the day of the event. Since 2000, Superfly Racing has brought you such events as the Wednesday Night Series at Albion Hills, the Trek School Series and much more. Sean Ruppel of Superfly Racing has been, and is also still actively part of Chico Racing, bringing you the 24 Hours of Summer Solstice, and the past 18 years of the Ontario Cup Series. Several years of Crank the Shield and the new Crank:SSM are also under Sean’s belt, as well as recent successes with the winter obstacle challenge, Polar Rush, and many other endeavors including a passion for Trail Building. 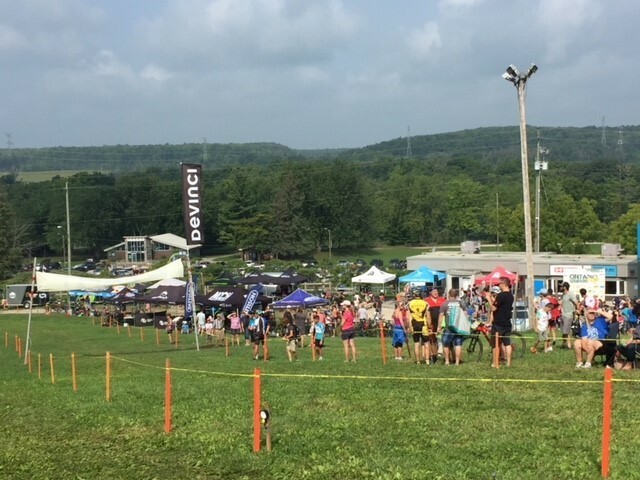 In addition to the Mountain Bike Events, Superfly also offers trail building services, sub-contracting for a variety of events, as well as work on a variety of obstacle events. We provide assistance to charities looking to run events, and are a quick email away if you have any questions or are looking to sub-contract our services! MultiSport Canada started in 2001 with the goal of developing a triathlon series that would bring more quality triathlon and Duathlon events to Ontario and attract new people to a sport that is filled with camaraderie and fun. Founded by John Salt and Mike Buck the first race was held in May 2002 at Erin Meadows Community Centre and featured Kids Of Steel races and an adult Triathlon. Since that time MultiSport Canada has grown to become the largest triathlon series in Canada and one of the largest in North America with over 9,000 athletes participating in multiple races during the spring and summer months. MultiSport Canada has evolved beyond triathlon into one of Canada’s premier event management companies. They not only own and produce the Triathlon Series and the Niagara Falls Barrelman but are contracted by several other event partners and not-for-profits such as the Princess Margaret Hospital Foundation and Joe’s Team. The Pulse Racing crew have been involved in organizing mountain bike events in Ontario since 1988. They have run many different events over the years, under many different banners, and with many different sponsors. They are the event crew familiar to all those that have raced over the years at Hardwood Hills and the new Hardwood Ski and Bike. Pulse Racing is pleased to continue to bring you the most professional, fun and safe events as always. 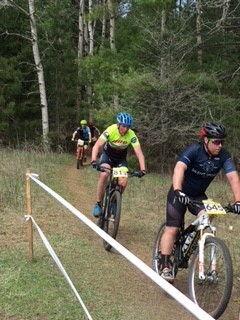 Angry Johnny’s Cycling Club has been involved in several aspects of amateur Mountain Bike racing in Ontario over the years. 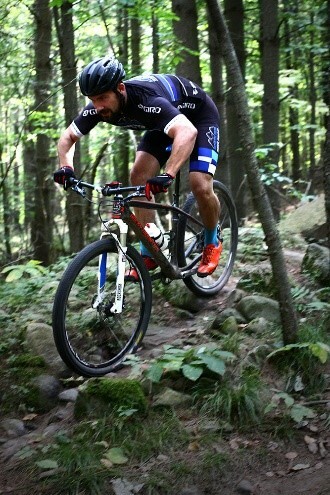 Although primarily a race team, Angry Johnny’s focus extends to all sectors of amateur competitive Mountain Bike cycling. Having organized numerous races and weekly series events over the years, Angry Johnny’s Racing will be a great addition to the roster of MTB O-Cup organizers in 2019.